Keeping abreast of the latest trends is imperative for survival in every field. This is particularly true in extremely competitive fields such as mobile apps and other technology-related areas. Every mobile app development company out there has its eyes set on trends that are changing the dynamics of the industry; for after all capitalizing on them is a wise business decision! We’ve worked on a variety of mobile applications platforms and we keep our eye out on the latest trends doing the rounds in the industry. We bring to you the top five trends that you should consider while developing your mobile app in 2018 in this blog; read on. AR is a game changer today and its applications are immense in many diverse fields. While virtual reality is being used for business promotions and marketing campaigns, AR can be used for a personalized shopping experience, in training (particularly in important fields such as surgery, military operations and so on) and education. It is estimated that both AR and VR combined would bring in about $150 billion by 2020. 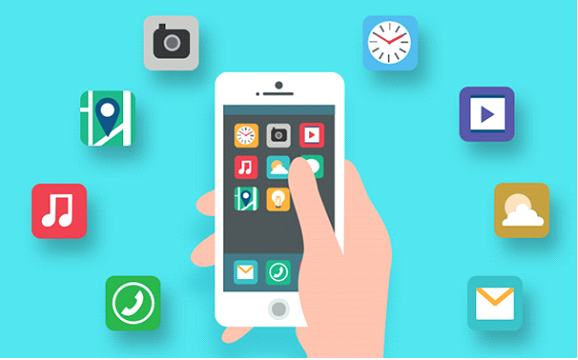 Given their interesting applications, we recommend that you check out if you can make use of these interesting technologies for your app across various mobile applications platforms. While you may argue that these aren’t something new, Beacon services from both the Tech Giants – Google and Apple have been lapped up by users. It is thus expected that location-based services will give rise to widespread Wi-Fi usage in diverse industries since the beginning of 2018. With businesses investing in location-based strategies to market their products, beacon services are being increasingly used worldwide especially in the retail sector. Shopping trends indicate that users are dependent on their smartphones to make purchase decisions and comparisons and as such in-store ads and messages that are delivered using beacon services increase the intent to purchase. Studies state that the purchase intent increases twenty-fold when retailers use beacon services to market their products. We as a mobile app development company are very much interested in AMP! It does what it states, and it helps speed up mobile pages which are very important given an end-user’s attention span. With faster loading speed, the app instantly becomes more appealing to the user if it is designed aesthetically. The bounce rate is reduced drastically, and it becomes easier to design pages that are responsive which again is important given consumer app usage trends. Since AMP is open source, you can work on it with ease and without having to shell out extra bucks. Security is one of the most neglected features in mobile apps and in recent times, there has been a lot of attention drawn to this all over the world. With technological improvements such as IoT, cybersecurity is nothing short of mandatory. Thus, there is a lot of attention paid to sandbox evading malware, ransomware, and AI-powered attacks. Multi-factor authentication and endpoint detection are some of the areas that are being worked upon to reinforce security. Look out for the latest security trends and keep abreast of what is happening in this area to ensure that your app is secure against malicious attacks. Instant apps are like a website and they attract users as there is no need to install these apps. Typically, native Android apps, instant apps are eyed by most businesses to increase user engagement and thus sales as a result. The seamlessness that these apps offer is what attracts users and businesses are looking to capitalize on this. The discoverability of these apps will be better too as sharing of links etc becomes easier in an app. We feel that these apps are a great step towards a download free future; try it out for your business if you wish to maximize your marketing potential. With so much competition out there, it is important to evolve and adapt to the latest trends to get an edge over rivals and carve a niche for yourself in the market. These trends are sure to rule the roost in 2018 and adapting them can prove to be a gamechanger for your app. Pranay Agrawal is an entrepreneur, tech-enthusiast and the co-founder of MobileCoderz Technologies. He has helped many a start-up build and execute their mobile strategies and has helped companies storm the mobile app market and revolutionize their business. Pranay Agrawal occasionally dabbles in writing about technology, strategies for mobile app development and latest trends that are ruling the tech industry. You can find Pranay on LinkedIn. Next How to Hack Viber Online?